Here are a few postcards I have collected over the last few months. Sorry for the lack of post here….it seems like life and work are running a mile a minute….. This appears to be the fun zone area just north of the Pavilion on Newport Bay. 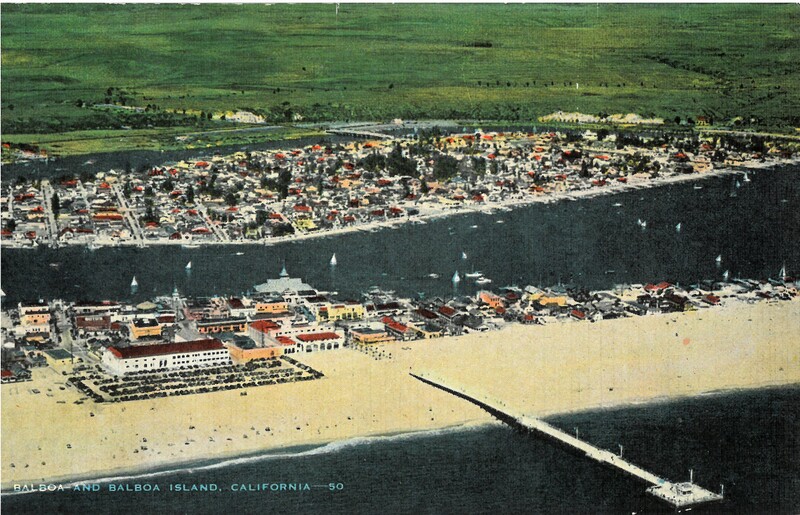 This vintage postcard is from 1939. 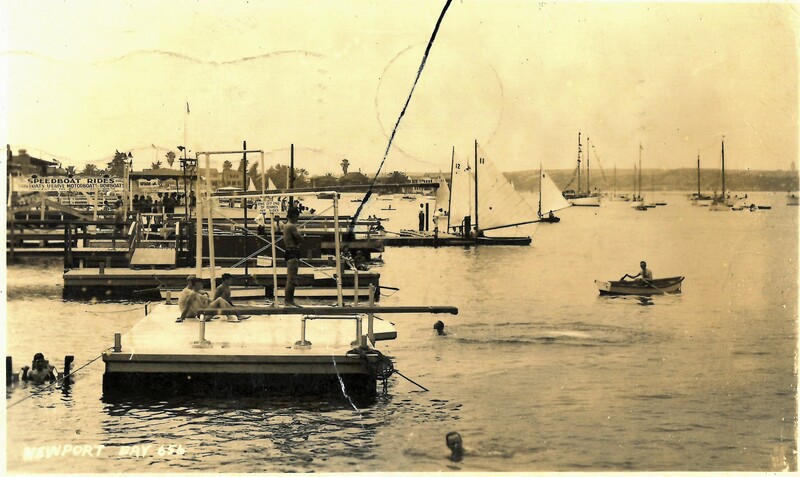 Take a look at the high and low diving boards made of large pieces of lumber. 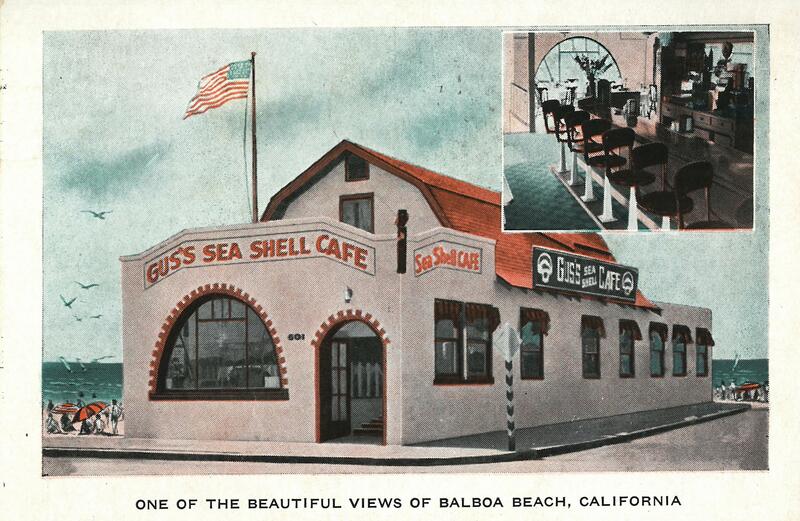 Two antique postcards of the Balboa area. 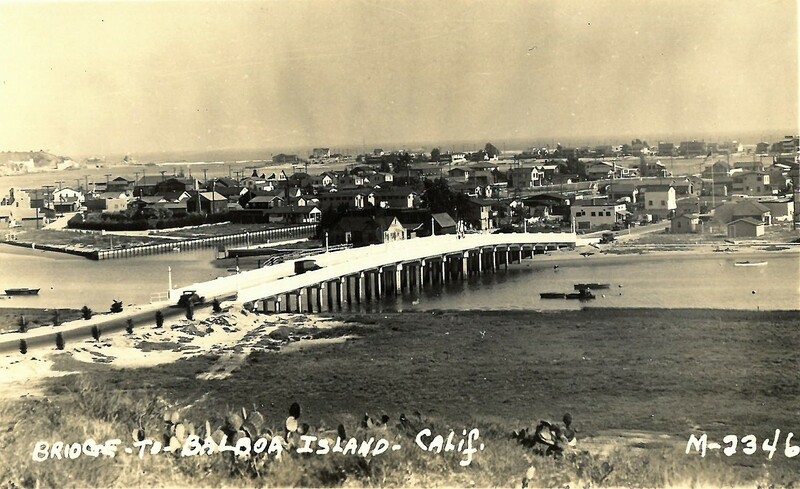 One depicts the bridge to get onto Balboa Island circa 1930’s and the other shows a gondola and dates back to the the early 1900’s. 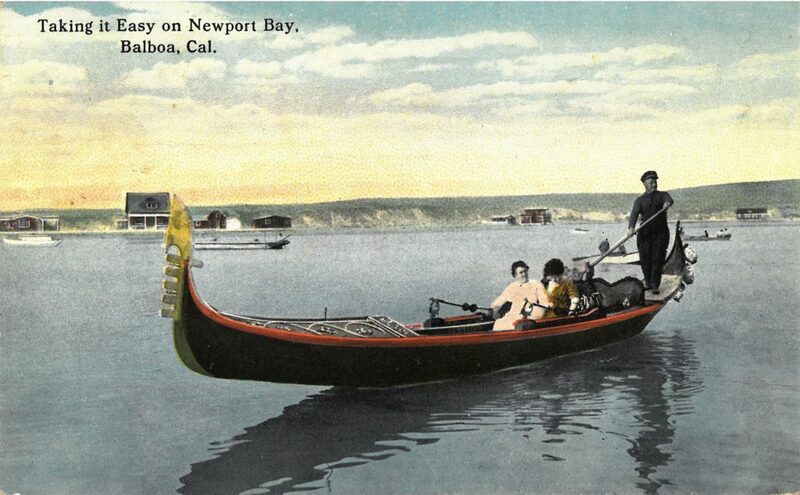 The Gondola was a popular way to travel the back bay in the early years of Newport due to the shallow and marshy conditions. Also, interesting to note that the card only shows 7 homes that are on bay front lots compared to the 1000’s that line the bay’s edge today. 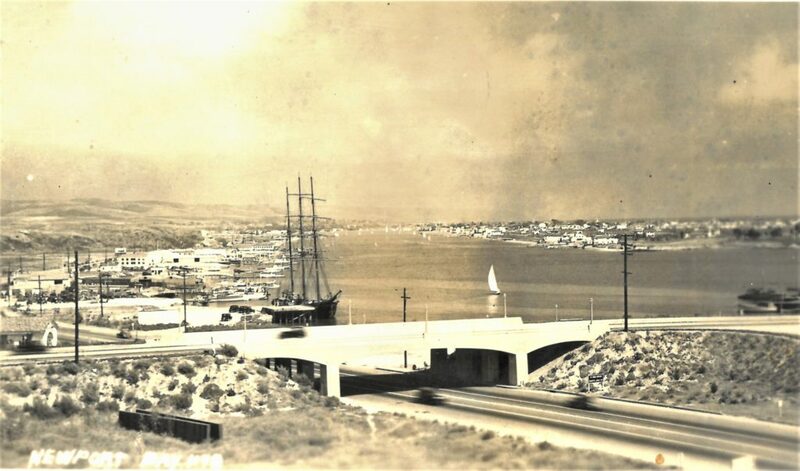 This is a real photo postcard of Mariner’s Mile circa 1941. On the bottom left you can see the Arches restaurant which opened in 1926 and PCH running south under the classic arched bridge. 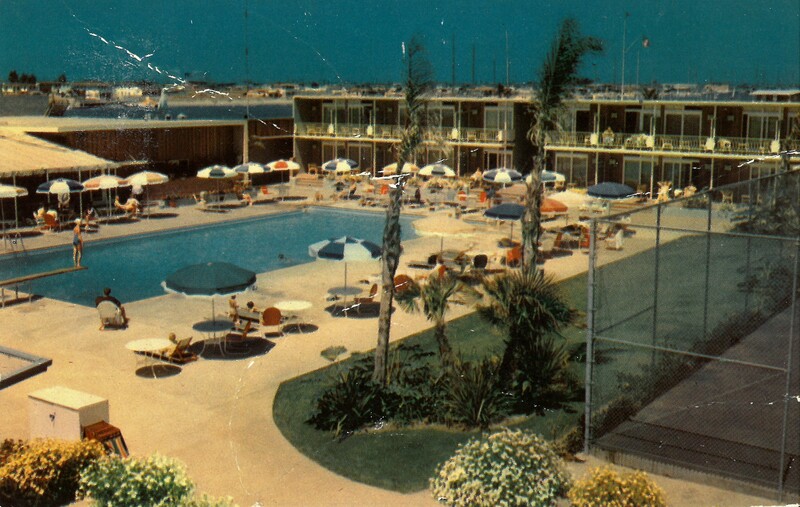 This postcard intrigues me so much due to the lack of development depicted. 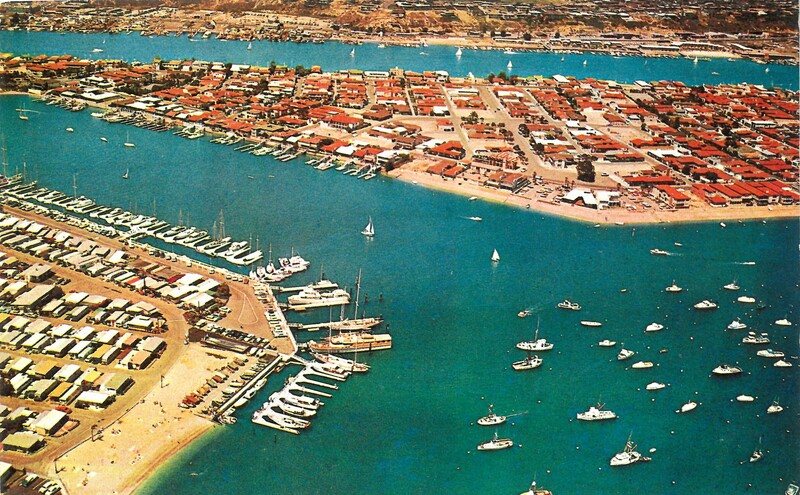 Definitely before Newport’s boom with very few homes on Lido Isle, no homes on the hills overlooking the bay and very few buildings on Mariner’s Mile itself. 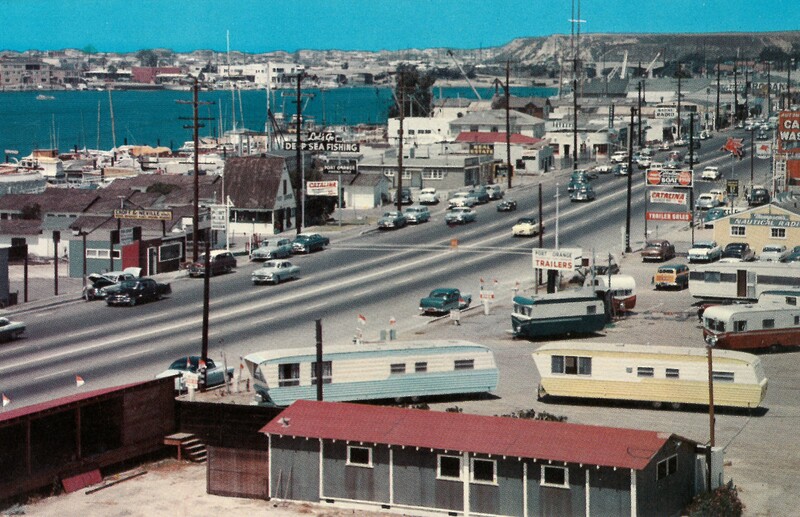 This building still stands today at the corner of Palm and Balboa Blvd and has significant interest to the GoodieGoodieGoodie.com IT Director! He used to live upstairs in this building. 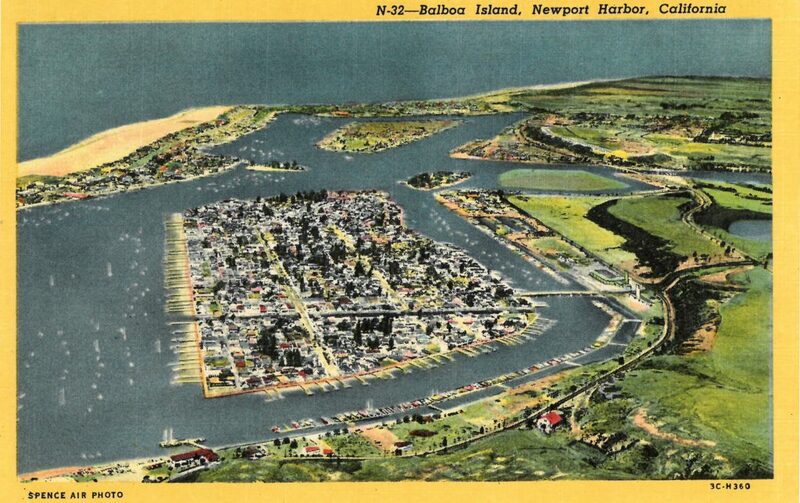 I just added this postcard to my collection and it was mailed in 1939 to Ann Arbor, Michigan.